Say “I Do” to our newest SPARKLE gown collection! 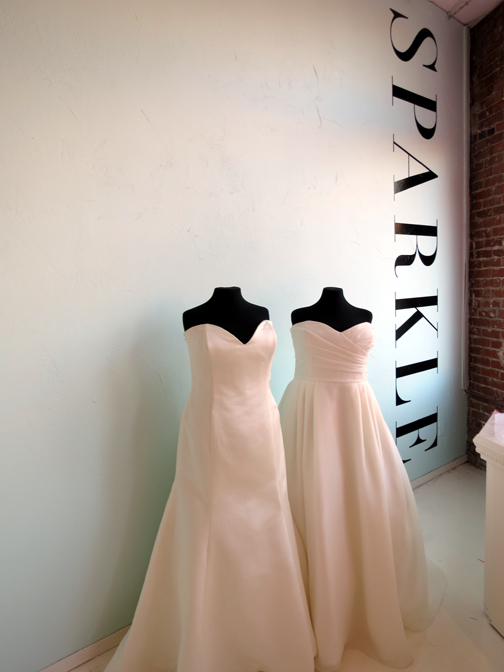 At SPARKLE bridal couture, we know how much time planning and pinning you spend in anticipation of your dream wedding. With the ability to customize every detail – from boutonnieres to silverware – why shouldn’t you be able to customize your gown, too?! Now, at SPARKLE, you can! Visit our showroom to explore our new “I Do!” collection of classically designed SPARKLE gowns. Start by selecting an amazing formal gown in the classic style of your choice. Then, select your details, many at no additional cost, from fabric choice to lace-up or zipper… the combinations are endless! This February at SPARKLE bridal couture, we’re doing things differently. To celebrate the most romantic day of the year, and as a special “thank you” to our future SPARKLE brides, we’re helping you fall in love all over again… with the gown of your dreams! Visit the SPARKLE bridal couture showroom this month to discover our exclusive “LOVE AT FIRST SIGHT” bridal gown collection! When you see “the one” you know it… so we’re offering a savings of up to $250 on gowns from this collection during your first appointment. 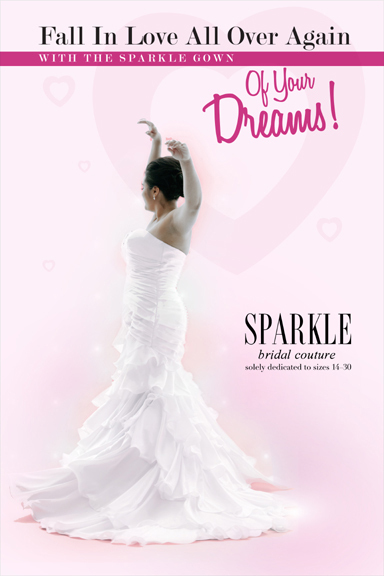 Your love search is over – SPARKLE has an unmatched selection of gowns in sizes 14-30… and a SPARKLE bridal stylist is available to help you find yours today! Call SPARKLE at 916-538-6615 or book an appointment online to fall in love with your SPARKLE gown… before another bride falls in love with it first! Which Sacramento bride hasn’t daydreamed about her one fantasy Wedding Day look… or two or three looks?! Not every bride has the budget for three beautiful bridal gowns, but that doesn’t mean you can’t ‘wow’ your guests the way you’ve always wanted. Our gorgeous collection of heirloom quality jewelry and accessories at SPARKLE bridal couture can convert any ceremony gown to an elegant evening style or fun cocktail look. Whether your theme is romantic, modern or classic, watch Founder and Creative Director Sandra Gonzalez transform one simple, satin bridal gown into three unique looks that SPARKLE!